Any Suggestions For A Dog Recently Diagnosed With Congestive Heart Failure? Any suggestions for a dog recently diagnosed with congestive heart failure that was given 6-9 months to live? As I read your question, with my own dog chewing his toy by my feet, my heart went out to you and your canine companion. First, I must share the caution that I am not a medical professional and crystal cannot replace medical treatment and should only be used as complimentary therapy along with the treatment suggested by your dog’s vet. 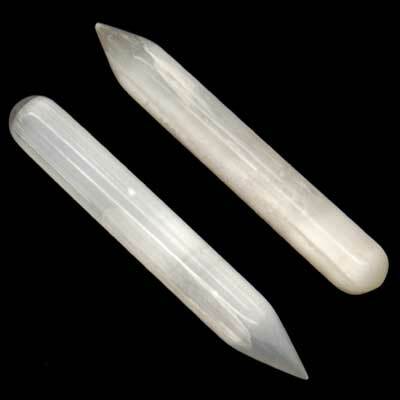 To provide healing energy for your dog without overwhelming him/her with too strong an energy, I recommend gridding the room where your dog spends the most time or sleeps by placing medium to large sized quartz points in each corner of the room, where your dog and any other animals or children will not disturb them. First, of course, cleanse the energy of the quartz. Then program them with your intention for your dog’s highest healing. I suspect pain relief and a balancing of fluids in the body would be what the crystals would be most able to help with. Or, perhaps, a general healing and soothing energy to fill the room. Here are links to articles about programming crystals and crystal grids, in case you need more information. When using crystal grids, it is important to re-energize the crystal every day with a wand and a re-statement of your intention for the grid. I like Selenite or Kyanite wands for this purpose. I hope you find this information helpful to you. Please contact us again if we can be of any further assistance.